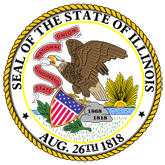 Ethics Act 5 ILCS 430/ Updating the database of the Illinois Compiled Statutes (ILCS) is and ongoing process. Recent law may not yet be included in the ILCS database, but they are found on this site as Public Acts soon after they become law. 1. State Officials and Employees Ethics Act 5/ ILCS 430/ 2018 Updates (EthicsAct.pdf).